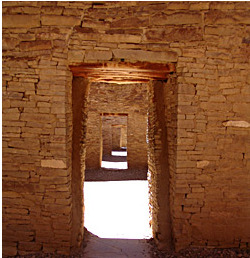 The present study concerns itself with the attempt of certain persons to live individualistically in contrast to the accepted plan of life in Sia pueblo, and to change portions of their native culture to suit their newly acquired concepts. The processes of culture change are of fundamental interest to the anthropologists. And as knowledge concerning the processes has increased, interest in them has branched out and new methods of approach to their study have been realized. These methods are not essentially one better than the other, nor even one more fruitful than another, but they vary in the specificity to particular aspects of the whole problem. Their success is not measured by the immediate and practical value of the user's findings to society as a whole, but by the light thrown upon the problem attacked. It is then for others to do what they will with the knowledge revealed.